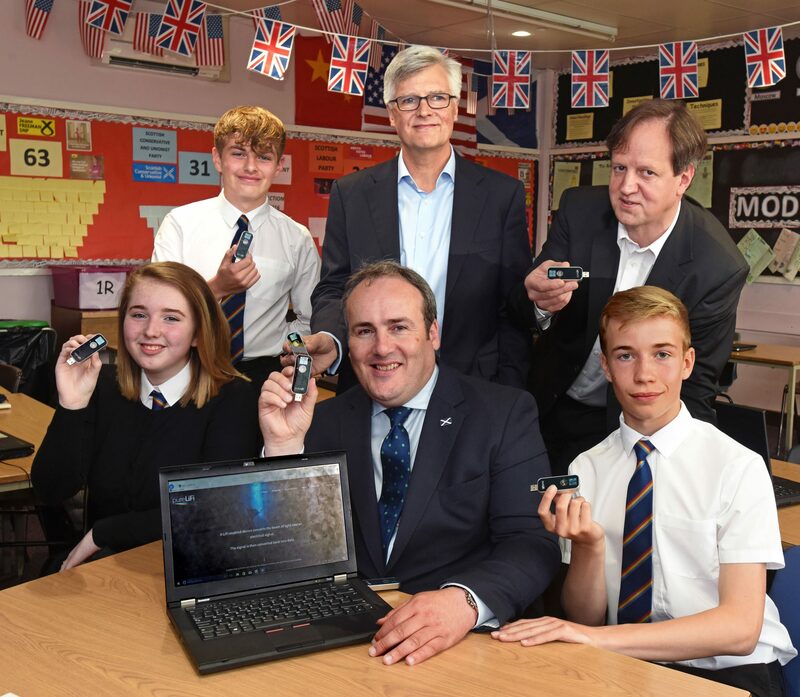 pureLiFi has deployed its LiFi solutions – which use light to establish wireless internet connections – at Kyle Academy secondary school in Ayr, Scotland. The project is being conducted in conjunction with the University of Edinburgh and is being overseen by Scottish Futures Trust, which supports the Scottish Government’s Digital Strategy. The Scottish Government also supported the pilot with a £16,000 grant through its Digital Schools initiative for equipment and installation. pureLiFi and the LiFi Research and Development Centre at the University of Edinburgh provided resources for the execution of the pilot with hands-on support and subsequent testing. South Ayrshire Council’s Kyle Academy is the first school globally to pilot real LiFi technology within the classroom. The installation of pureLiFi’s LiFi-XC system comprised eight LiFi-enabled LED light bulbs in the ceiling and students have been given access to LiFi-XC Stations that plug into their laptops enabling high-speed connectivity through the lights.